In the first paragraph, please tell us how you prepared for your presentation including how many times you practiced, what helped and what didn't, how you think you performed, and what grade you think you deserve for your efforts. In the second paragraph, please reflect on the project as a whole from beginning to end. Here, please include what you would do different next time, at least one piece of advice to next years senior projects students, and at least one piece of advice for your teacher of ways to improve next year. As always make sure that your feedback is SPECIFIC, KIND, and HELPFUL. Offer up possible solutions rather than just complaints. And lastly, end with a statement regarding why you think that your senior project was a success and deserving of a passing grade (and if you don't think it is, explain what you need to revise). 2. If you are still working toward project completion or simply waiting until your presentation date, your blog will be a continuation of the progress you are making towards your final presentation. Please include at least one picture per post and a summary paragraph of your current status. This will continue until you present and receive a PASSING grade. Activity: Students will work in their small groups to do peer review of presentations. Each student will receive two rubrics from peers to gain feedback for their presentations. Students will be timed and must be prepared to present to receive credit. In addition, peers will take one photo of you presenting which you will use in blog 15. Blog 15-Please write a one paragraph reflection on your presentation. Include what you think you did well, what you could have done better, and what suggestions your peers gave you on the rubrics. Include a photo of you presenting. Blog 14-Please write a one paragraph reflection focusing on the most beneficial thing you have learned from your project and the most challenging thing that you went through in your project. Also please address the potential sustainability for the coming years (how will your project continue its' effect after you are done with it?). Be ready to present to your group on Friday. Come with your note cards prepared. Agenda: Submit Research Paper. Discuss Presentation Skills and distribute presentation rubric, also found HERE. ​Blog 13-In this blog, please give a complete snapshot of your project in its current state. Please be extremely detailed so that I am able to know exactly what you have completed and what still needs to be done. In addition, make sure you explain how and when you will complete those things that still need to be done. Again, please be as detailed as possible. 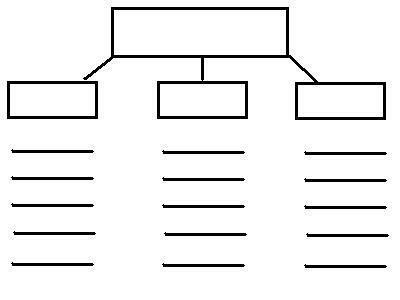 ​Note Cards and Presentation Practice: Make note cards to begin presentation practice in your small groups during our next class meeting. Regardless if you are a self proclaimed presentation professional or not, you will need to make note cards for a grade. Blog 12-In this blog, continue documentation of project by including at least one photo of your Information Skills evident or becoming evident in your project. Research Paper- Come with paper printed and ready for final submission. Please make sure all formatting is correct. Blog 11-In this blog, continue documentation of project by including at least one photo of your Civic Literacy and Engagement Skills evident or becoming evident in your project. Blog 10-In this blog, continue documentation of project by including at least one photo of your Global Awareness Skills evident or becoming evident in your project. Do you know about Zotero or other apps that help format your Bibliography? Students will participate in a walk about to view progress of peers projects. Each student will fill out a midpoint check form for three other students. The comments and suggestions will lead to the final midpoint check grade (20 points assessment) that determines whether the student is on track and has made significant progress toward their final product. Is the project introduction on the senior project home page? Comments/Suggestions? What is the driving question? Comments/Suggestions? Is the blog easy to navigate? Comments/Suggestions? Is there enough photo evidence /descriptions to envision the final product/service/presentation? Comments/Suggestions? What product(s) or service(s) is/are evident so far? Comments/Suggestions? Does the end product look achievable by March? Comments/Suggestions? Give at least two suggestions for improvement or advice to make the project more interesting. *What are two things that you have learned (academically) through the process of your project so far? Explain. *What are two skills (21st Century) that you feel you have improved so far? Explain. *At LEAST three photos of your project process. One photo must be of you working on some aspect of your project, one screenshot of work either done digitally or shot of your product itself, and one other photo students choice. *5-7 sentences update on progress of project and plan for what you will be doing over break to make more progress on project completion. Homework: Introduce your project on the senior project home page of your portfolio. Refer back to your project proposal and include the preface, perspective, driving question, and goal. At the top, please include the title of your project. Mikhaela is on target! Check out her site if you need an example! Student work day and individual student/teacher meetings. Students must email AND submit this weeks work to journal entry #5. *At LEAST three photos of your project process. One photo must be of you working on some aspect of your project, one screen shot of work either done digitally or shot of your product itself, and one other photo students choice. ALSO, you must reply to the senior yearbook questions. Your communication with the yearbook committee will be worth 5 points 21st century skills. Don't forget to check weebly for next weeks journal assignment since it is a holiday. Student work day and individual student/teacher meetings. Students must write down one task completed during class today and one thing they need help with as an exit ticket. *What have you completed so far on your “product”? *Next week is a holiday again, so you need to set three measurable goals to work towards prior to our next meeting. What are your three measurable goals? *What is ONE thing you need help/support with currently? This quarter is all about product development and the “doing” aspect of the project. After timeline discussion, students will participate in a group share to hear about what they able to accomplish over fall break (2 minutes each). *What is my next step for product development? Homework Part 2: On your senior portfolio create a new page named “Timeline”. Insert a table timeline that mirrors the timeline received in class and add your personal deliverables. You may use a different style of timeline if you would like, so long as it meets weekly requirements/goals. Students must submit their final proposal and have approval to continue working on the project. If a project is denied, the student must revise over the break to obtain approval upon return from break. *Three measurable goals that you plan to accomplish over the break to make progress on your project. You may choose to focus on building something, gathering materials, interviewing people, volunteering, writing, illustrating, etc. Please BE SPECIFIC. The purpose is so that when we return from break, I can ask to see your progress on those goals and you will be able to show me documentation (not just telling me). Please make sure that you take pictures of what you do to better show your process. That means that when we come back from fall break, you will have three pictures, videos, etc that show your work towards your stated goals. Please email me the link to your portfolio website. Just a friendly reminder that your final proposal is due Friday. You will be required to turn in your first two drafts along with your final draft. YOU MUST HAVE YOUR PARENTS SIGN THE TITLE PAGE OF YOUR FINAL DRAFT CONFIRMING THAT THEY HAVE READ THROUGH YOUR PROPOSAL. Need to complete before next meeting: Begin a Journal on the Senior Project page of your portfolio. This can be blog format or a separate web page dedicated to recording your findings and accomplishments along the way. FINAL PROPOSAL APPROVAL IS NEXT WEEK. If your project is not approved you will be asked to come in and revise over the fall break, and your grade will put you in danger of not passing. Need to complete before next meeting: Second Draft of Senior Project Proposal. Students must submit 2nd draft attached to first draft and peer feedback forms. Need to complete before next meeting: On your "Annotated Bibliography" document, find at least 3 people you could get information and recommendations from in regards to your project idea. Who can help you? List these people on your annotated bibliography and include: Contact Information, Name, Job Title, Company - and in your paragraph write how this person’s knowledge and experience can benefit your project. Need to complete before next meeting: Mad Lib assignment. Fill in the blanks and add to your "Brainstorm" document. Objective: Receiving Peer Feedback and doing something about it. Need to complete before next meeting: On your "Annotated Bibliography" document, research at least 2 videos and 2 scholarly articles that address the key background questions; Why is this an issue? What contributing factors have created this issue? What has been done to address this issue? Objective: What makes a good project? How do you give/receive good feedback? 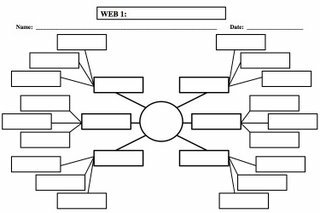 Need to complete before next meeting: Add graphic organizer to the "Brainstorm" file; complete the project search worksheet (linked below) with revisions from feedback given in class, and include major product ideas.